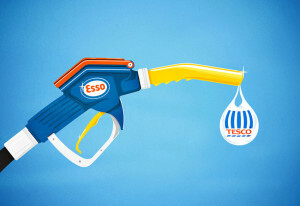 Esso and Tesco have been working together for years, with Tesco now running the convenience stores attached to the majority of Tesco garages. Over time, the offering has broadened out. A couple of years ago, for example, you began to earn points on Esso petrol purchases which was never previously the case. You even earn points on Esso petrol at garages where Tesco is not present. Esso garage with a shop which is NOT Tesco – at their discretion, the garage may give you 1 point for every £1 spent in the shop. It is not guaranteed. If you need more help, and I wouldn’t blame you, take a look at this special Esso / Tesco website.